Okay, I want all my cards clearly on the table. I love Ginger. However, while in public, she demonstrates impulse control issues...meaning that she is extremely hyperactive. Outside of that issue, which drives me out of my mind, I truly love Gingie Pooh. She is well-fed with premium dog food. 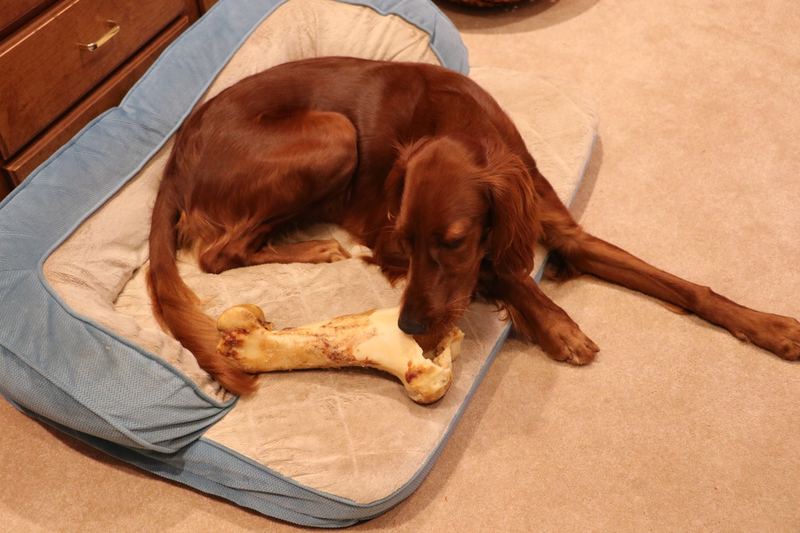 However, she gets loads of extras like pig ears, carrots, and a plentiful variety of bones to gnaw upon during the day. 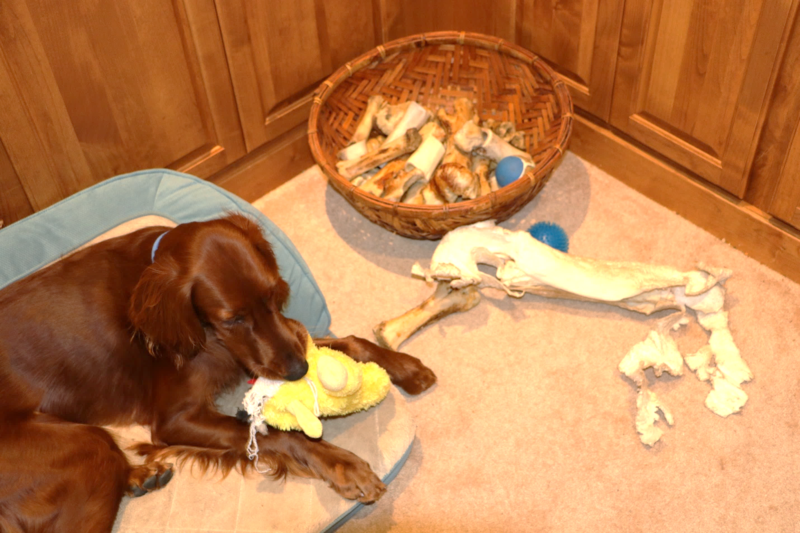 That being said, Ginger has a collection of toys. Family and friends present to my grande dame, gifts of various stuffed toys, which she loves. I, personally, tend to stay within the animal realm as in bones and pig ears. One reason, other than my personal predisposition to actual real animal parts, I don’t buy toys that aren’t blue and/or yellow. You might wonder about that seemingly irrational mindset. In reality, it is my means of loving Ginger. 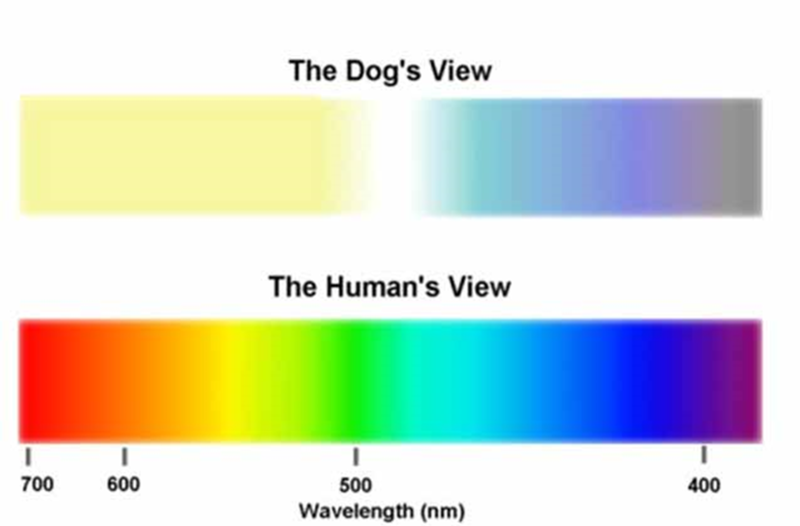 Dogs can’t see the variety of colors that we see. Therefore, I choose toys which she can actually see the colors. 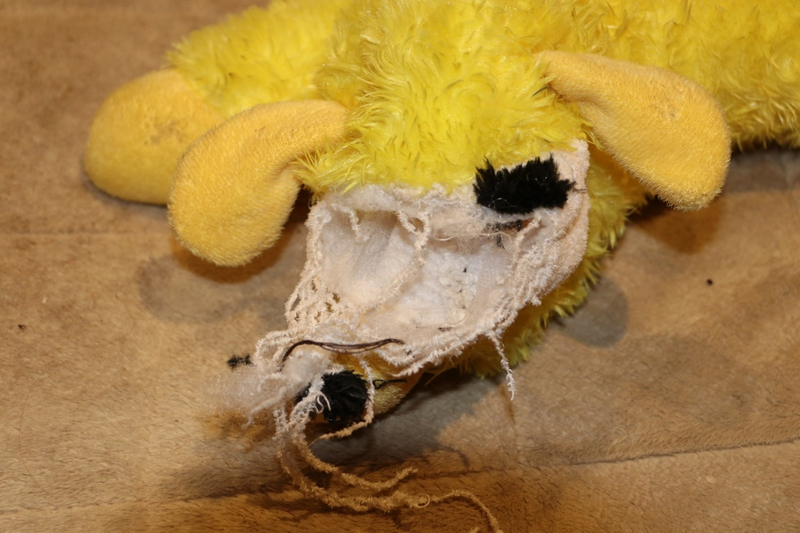 Therefore, while shopping the other day, I saw a yellow stuffed lamb with an internal squeaker. 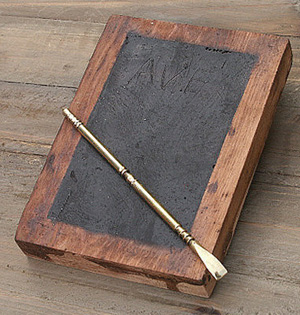 It was an ideal gift for Ginger due to her ability to see yellow. Beyond that, when I was Ginger’s age during WWII, my mother gave me a stuffed lamb, which I named Lammy Coo. Therefore, the gift to Ginger had to do with her seeing the yellow animal and my stuffed animal when I was a toddler. Then I had to go to the kitchen for some more coffee and Ginger stayed on her divan next to my desk and computer with her yellow lamb. I wasn’t gone 10-minutes. However, this is what I saw upon my return to my office. Ginger was devouring the head of her Lammy Coo. I asked her what she was doing? My retort was that she was pulling out the stuffing from her head. 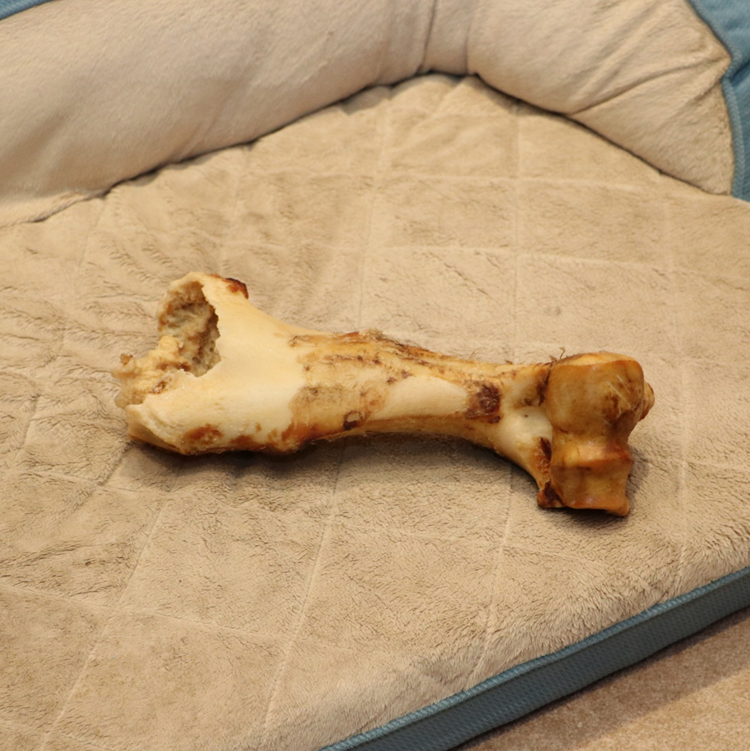 Ginger is into chewing; she chewed off the end of this bone. No matter what she puts in her mouth, it will be devoured. We talked about her chewing. I told Ginger that I would and maybe her not chewing stuffed animals will, in time, become a part of the canine DNA.